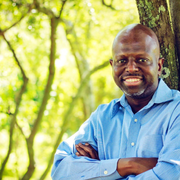 Dr. Stevenson has over 20 years of teaching, research, and administrative experience in the areas of social work and public health in the United States and abroad. At Walden, he serves as a contributing faculty in the MSW and DSW/PhD programs. Dr. Stevenson has had numerous publications published in peer-reviewed journals. He has served as guest co-editor for the Journal of Social Work Education and the Journal of Human Behavior in the Social Environment. He has held elected positions as Board Member at- Large with the Association of Social Work Baccalaureate Program Directors (BPD) and a member of the National Nominating Committee of the Council on Social Work Education (CSWE).